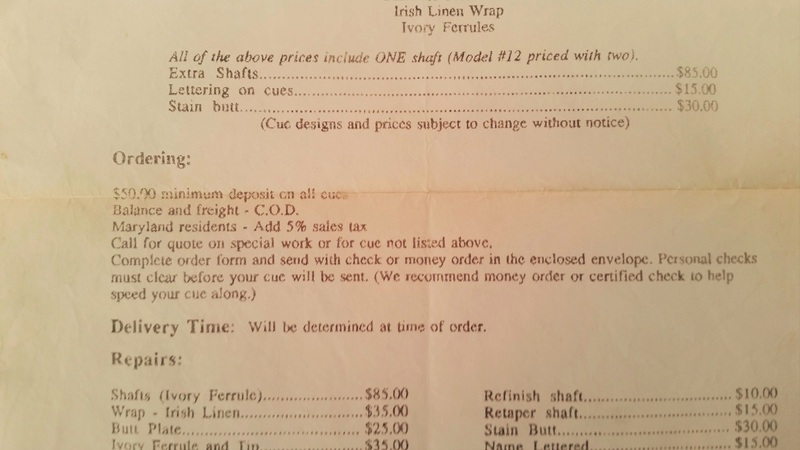 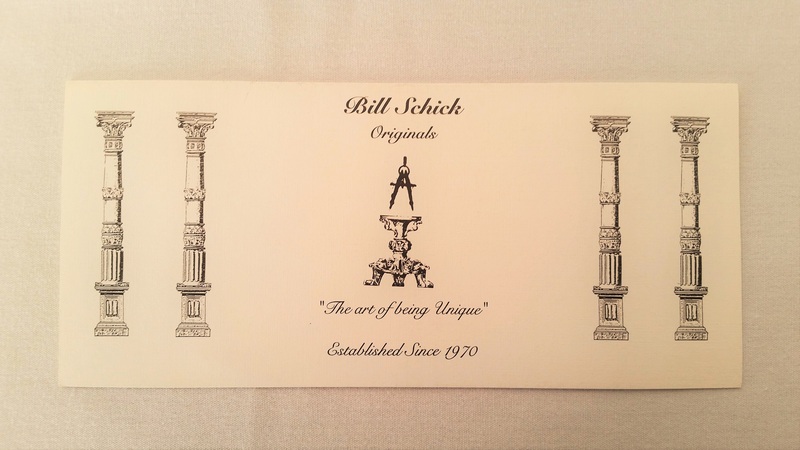 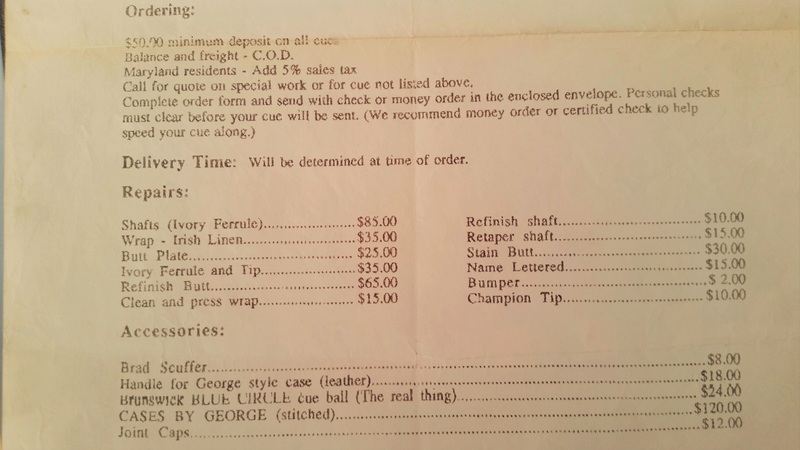 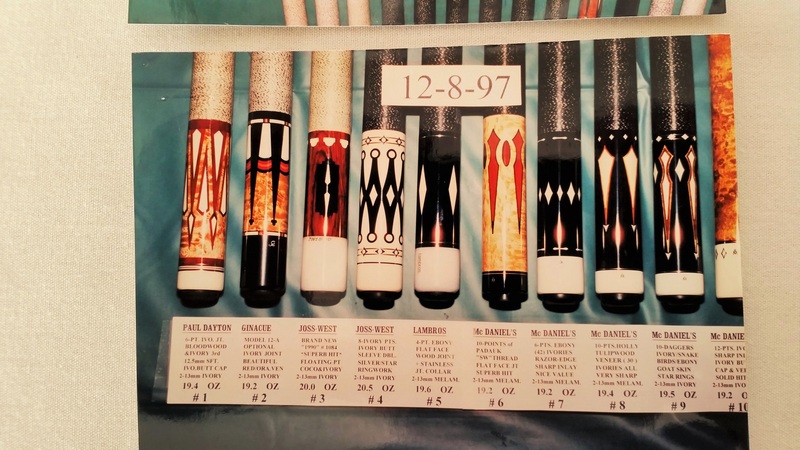 Before the time of the “Dot Com” era of merchandising, many producers and manufactures of one of a kind, and limited numbered wares relied on other ways to get their product information to potential customers. 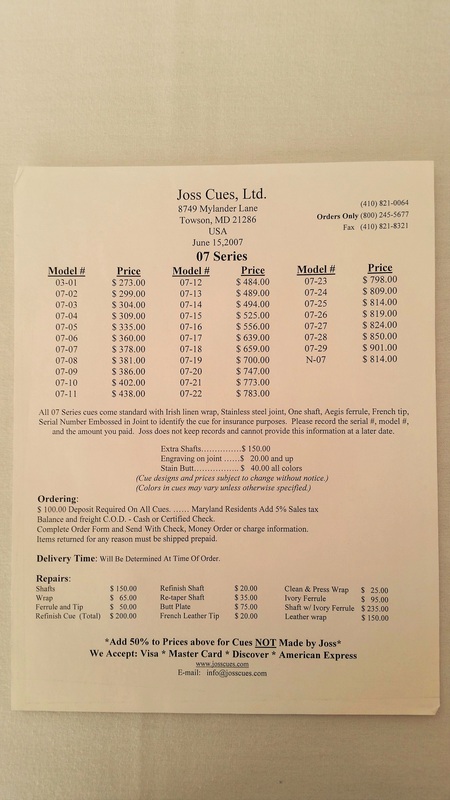 The best way to attract new customers is to make a great product. 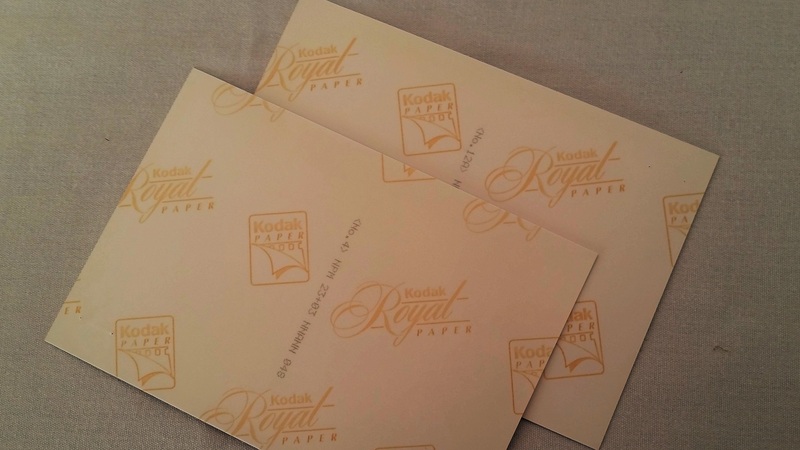 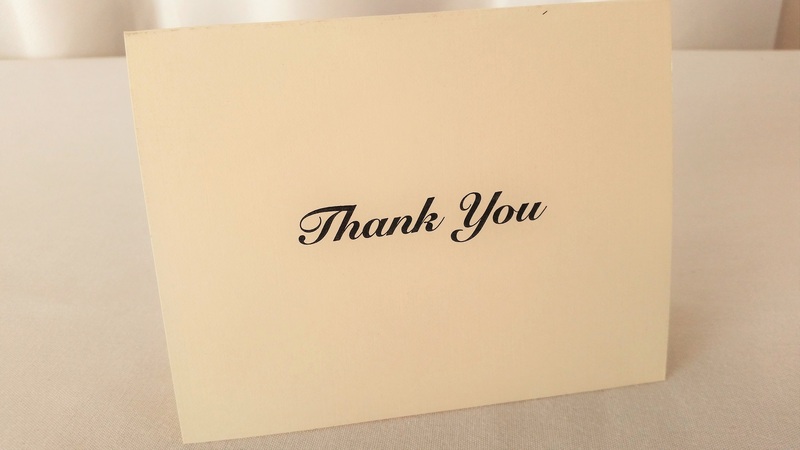 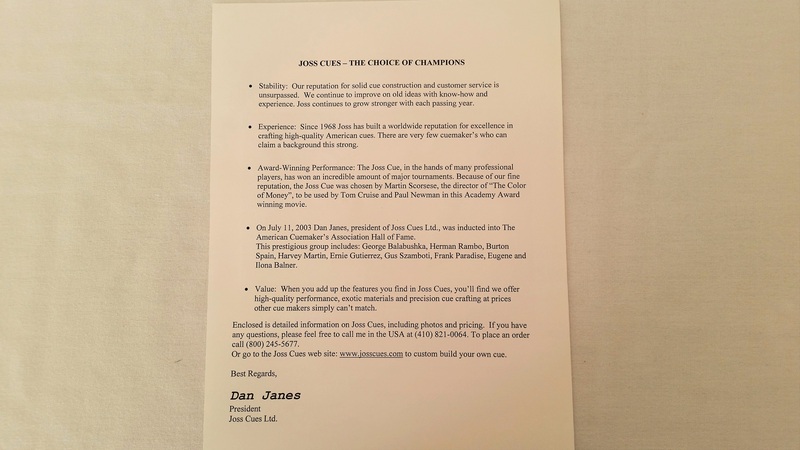 Still, when people wanted to buy your product and needed information on it, you had to have something to send to them. 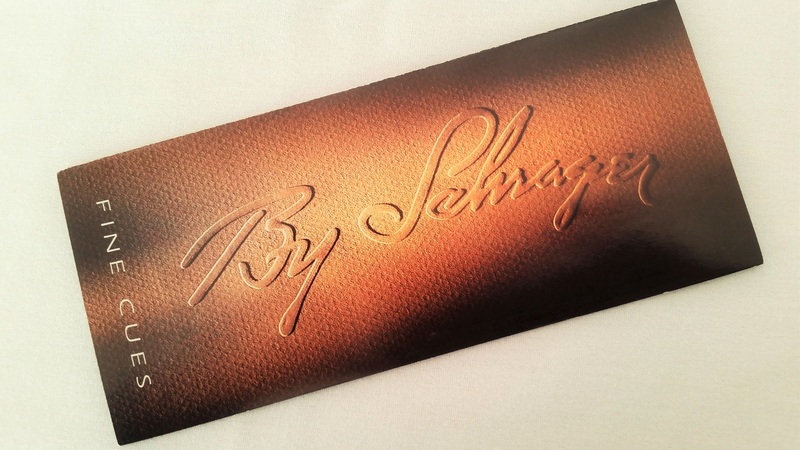 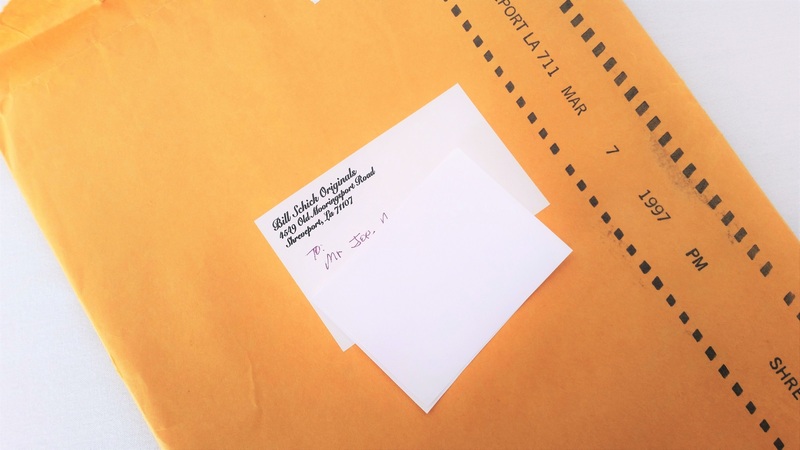 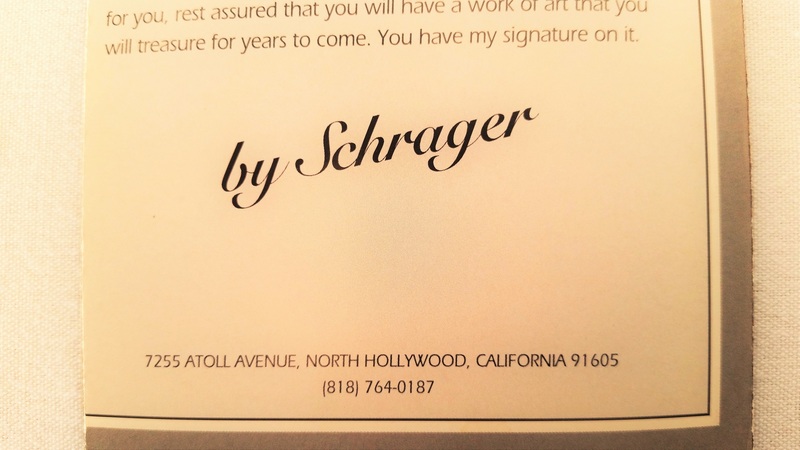 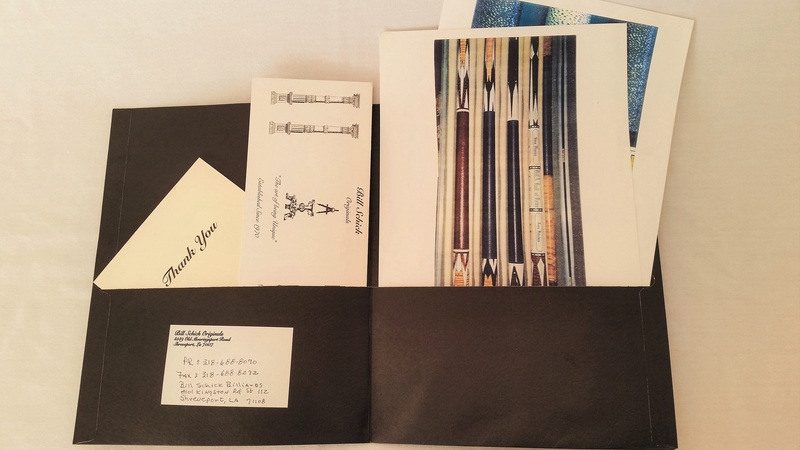 What was sent was usually a direct mail catalog. 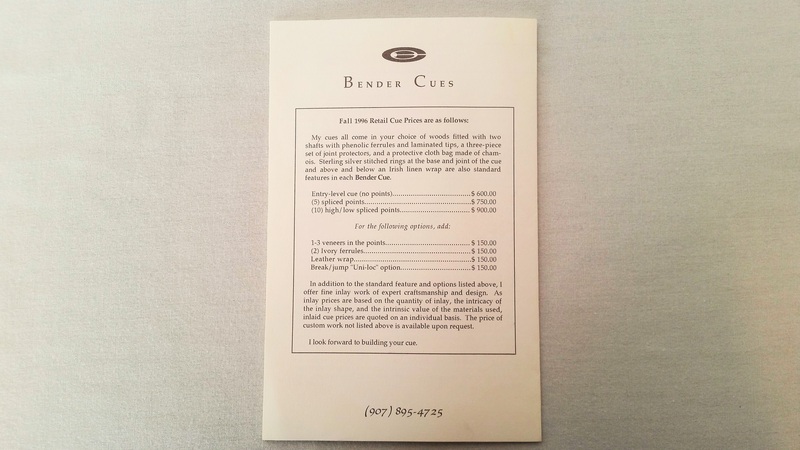 But catalogs cost lots of money to produce, print and mail. 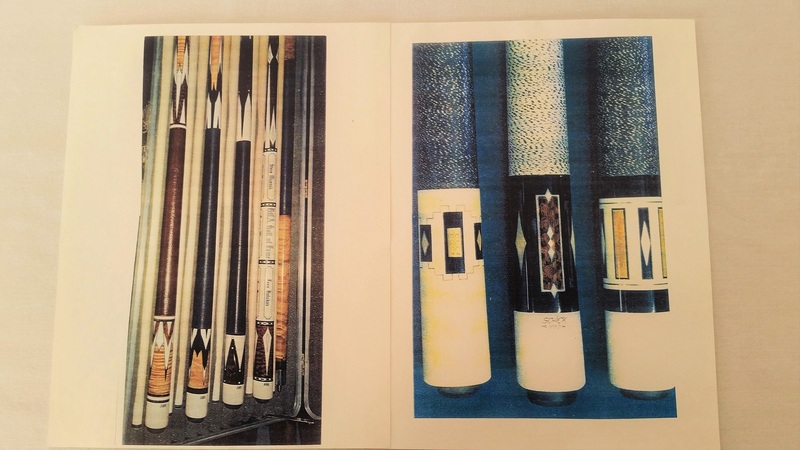 And if the products you produced were one of a kind and limited runs or editions, large catalogs were not very practical. 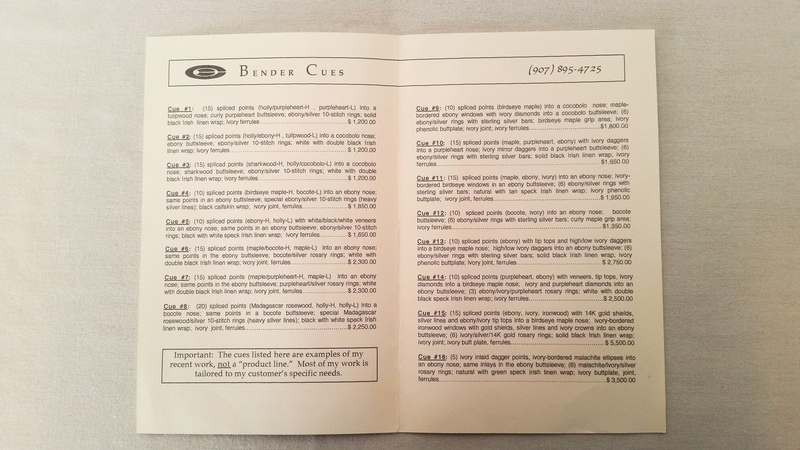 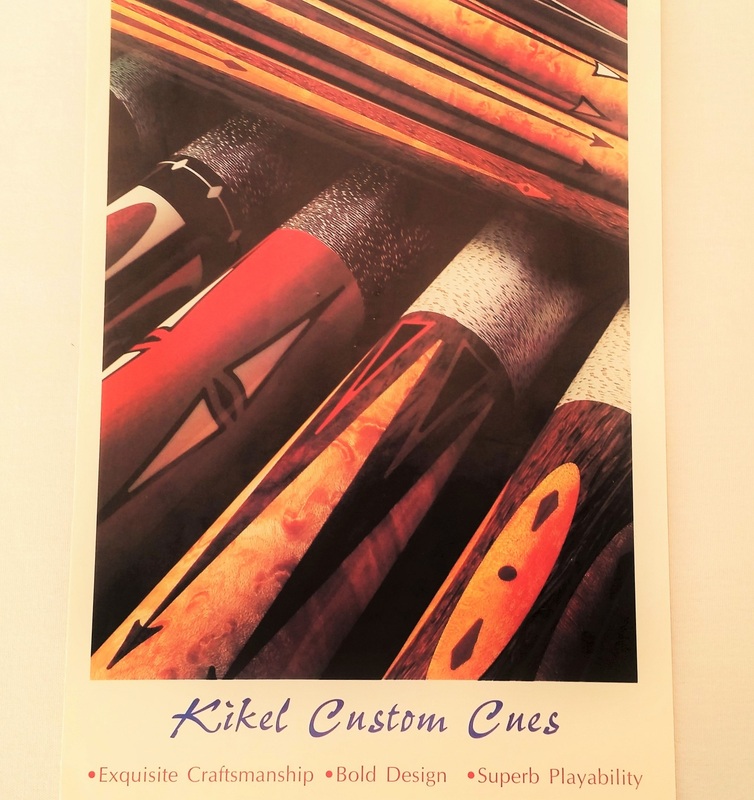 So many small business and trades men, such as custom cue builders, had to put together small mailers and flyers to send to customers. 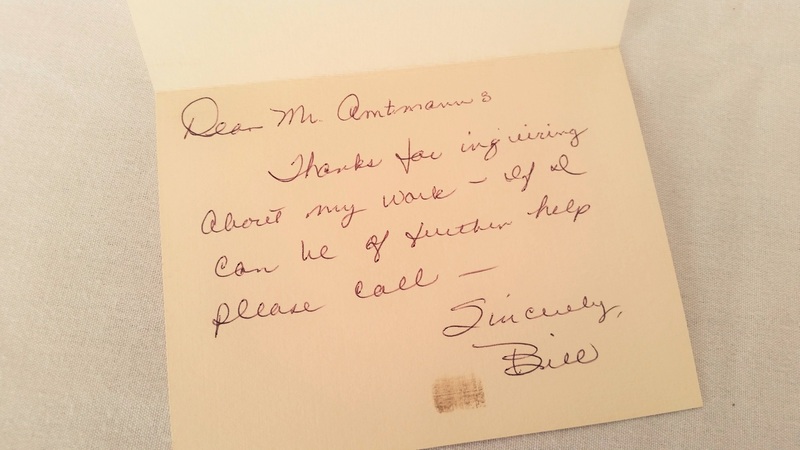 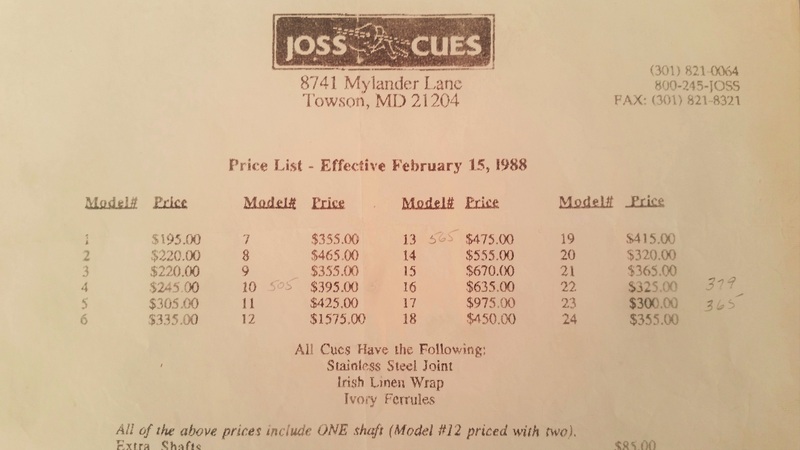 When a customer would call, they were often times trying to get an idea of the cost and types of designs that were available. 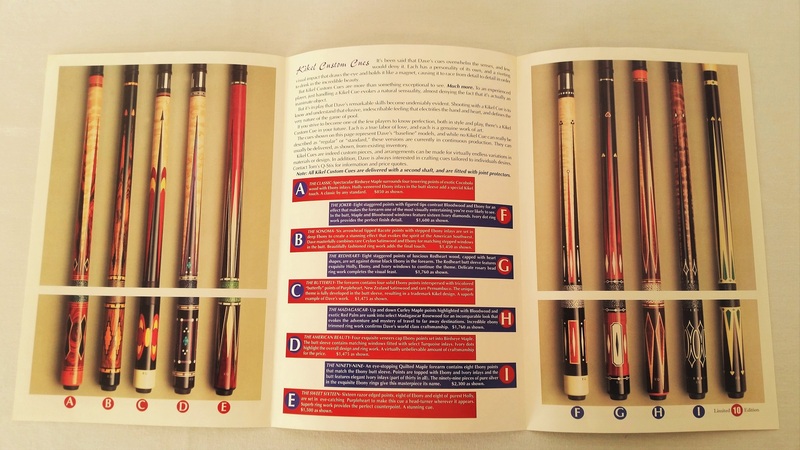 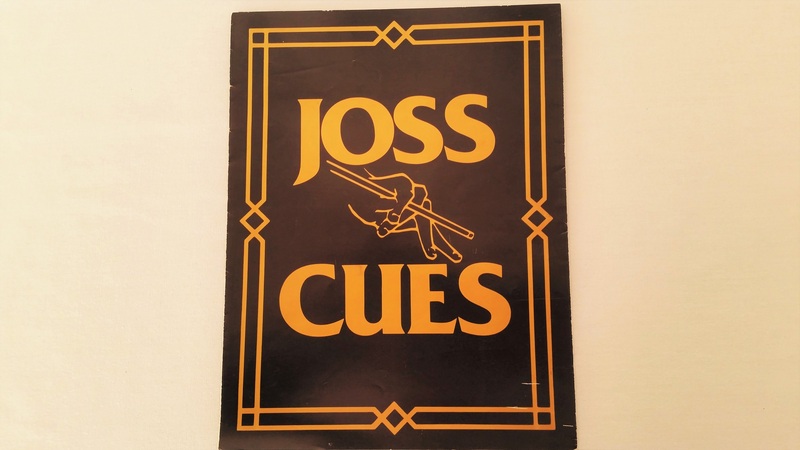 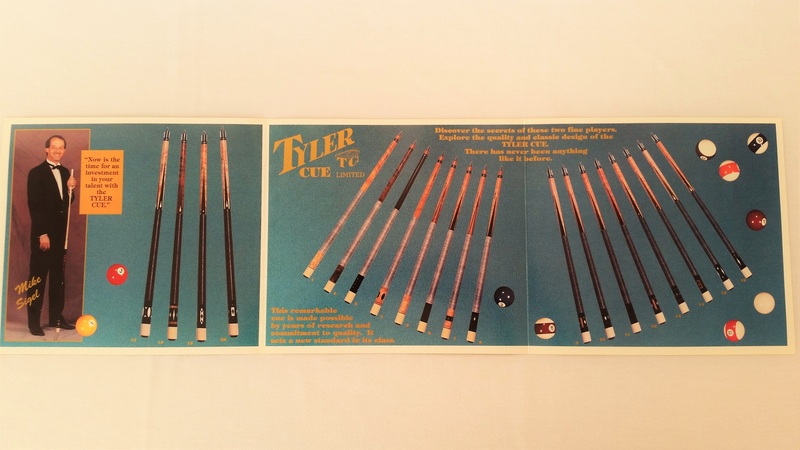 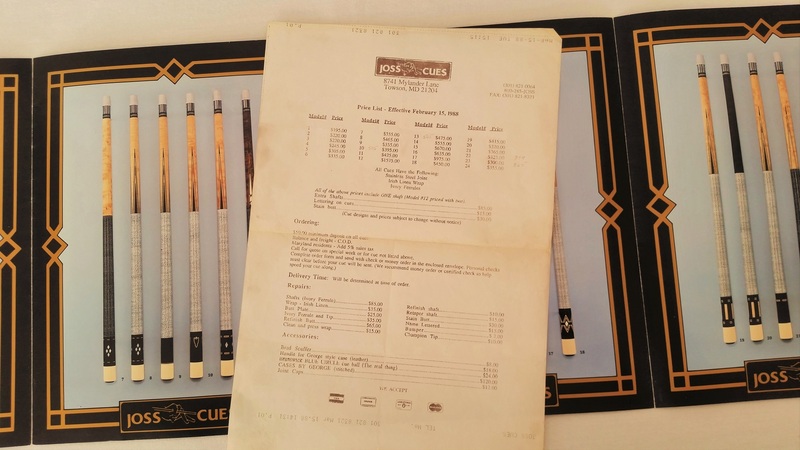 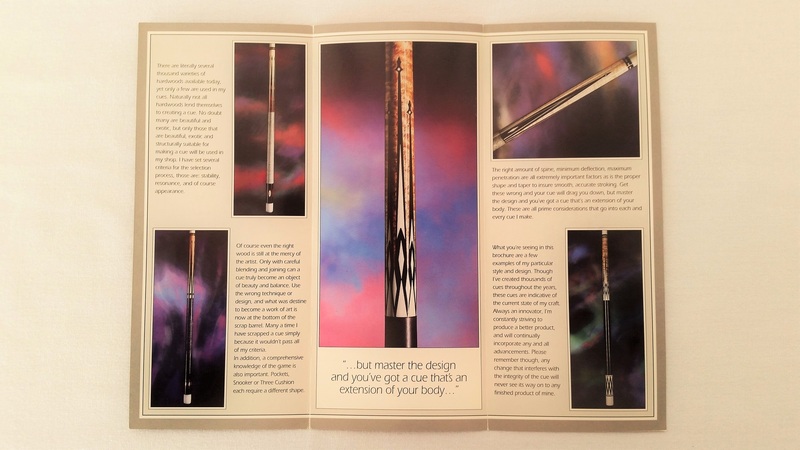 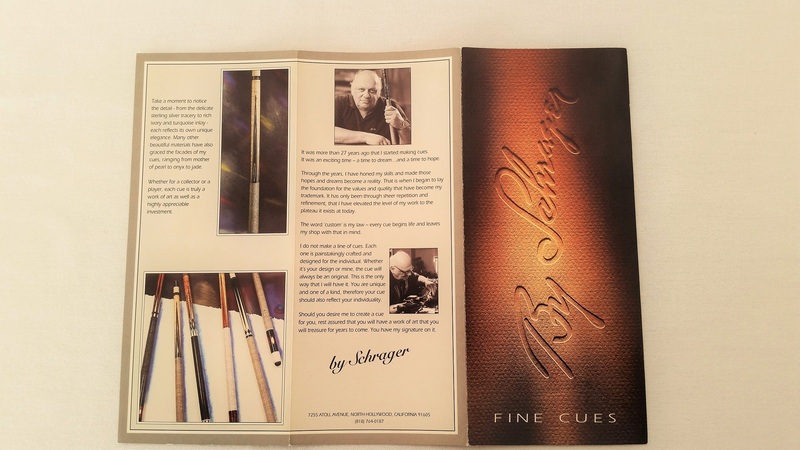 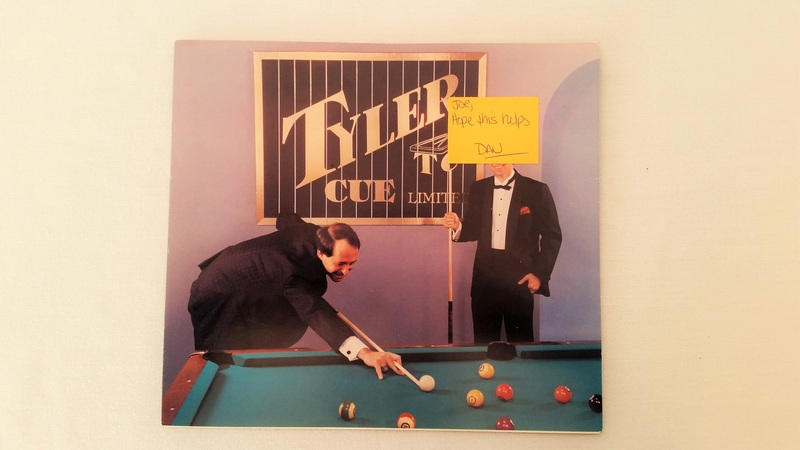 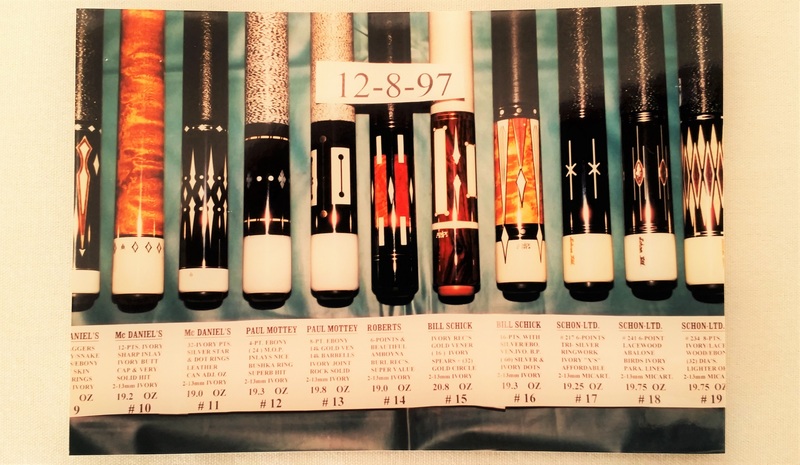 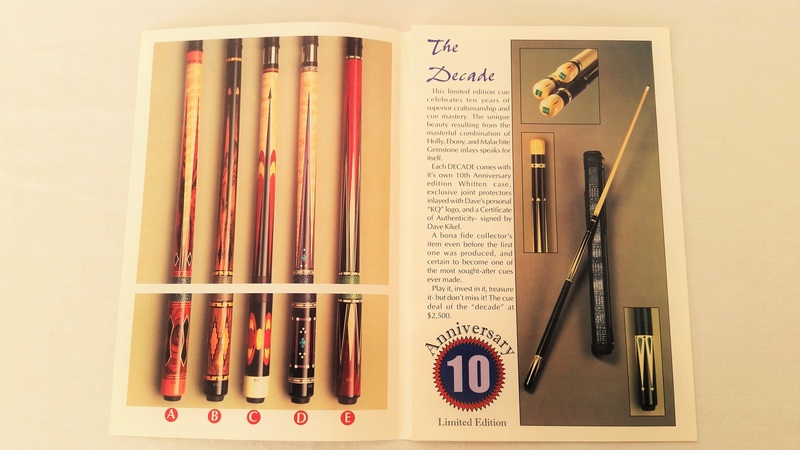 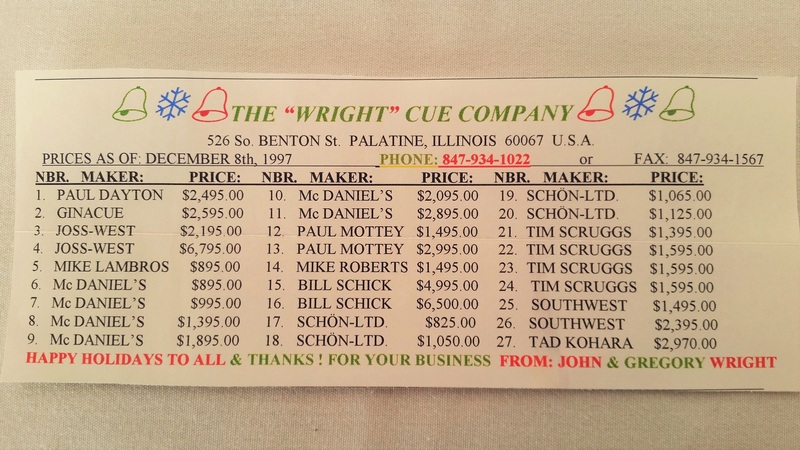 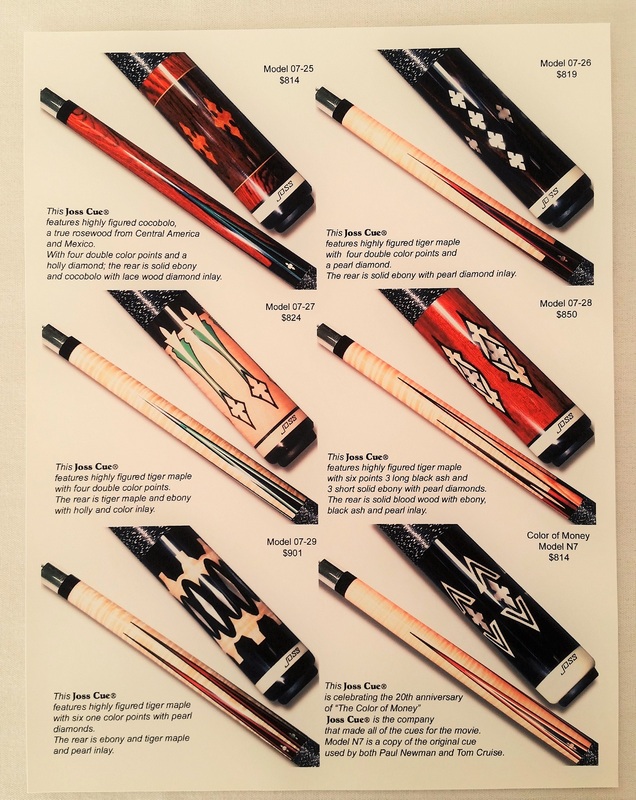 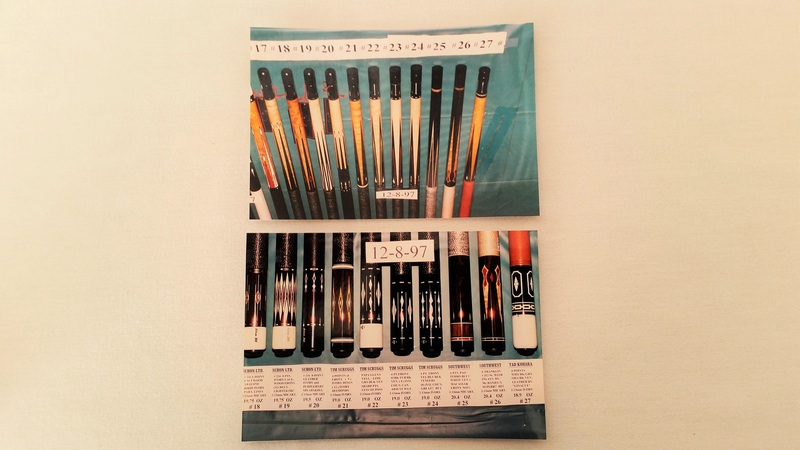 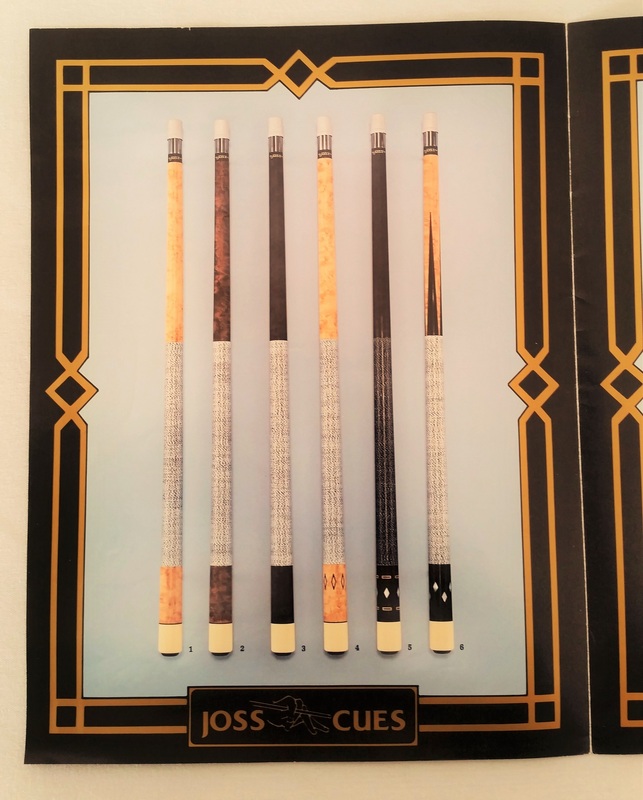 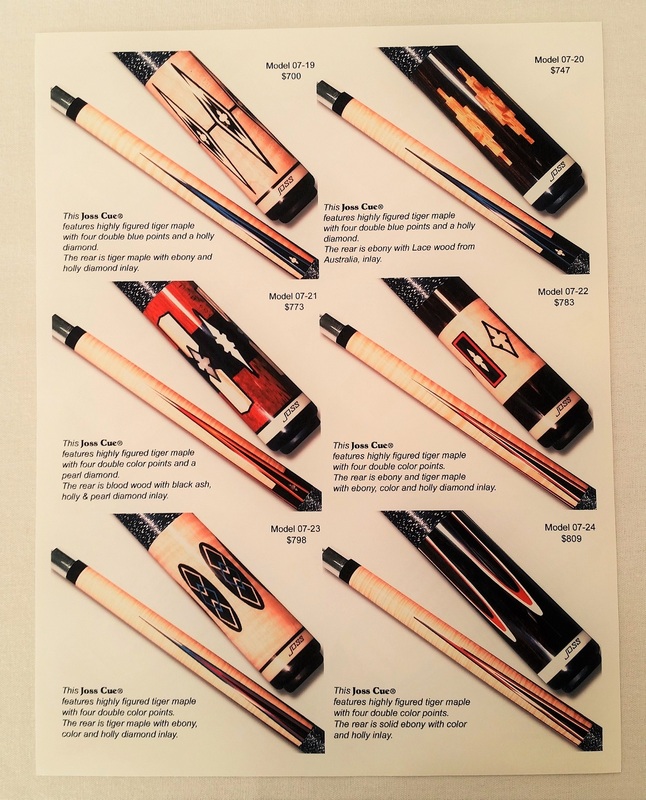 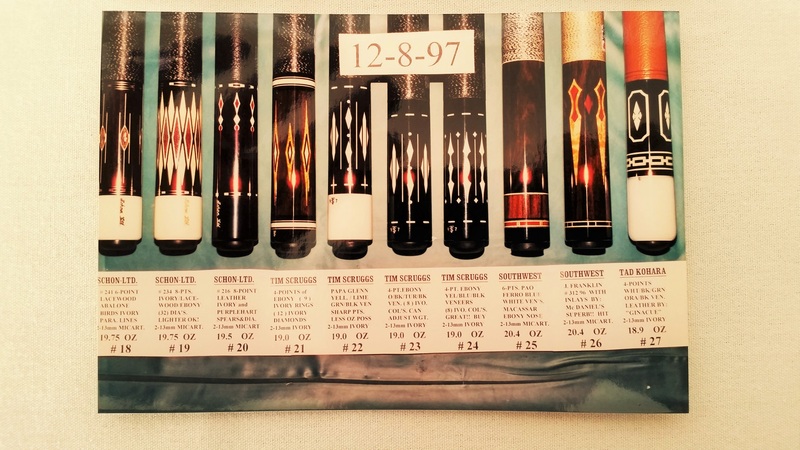 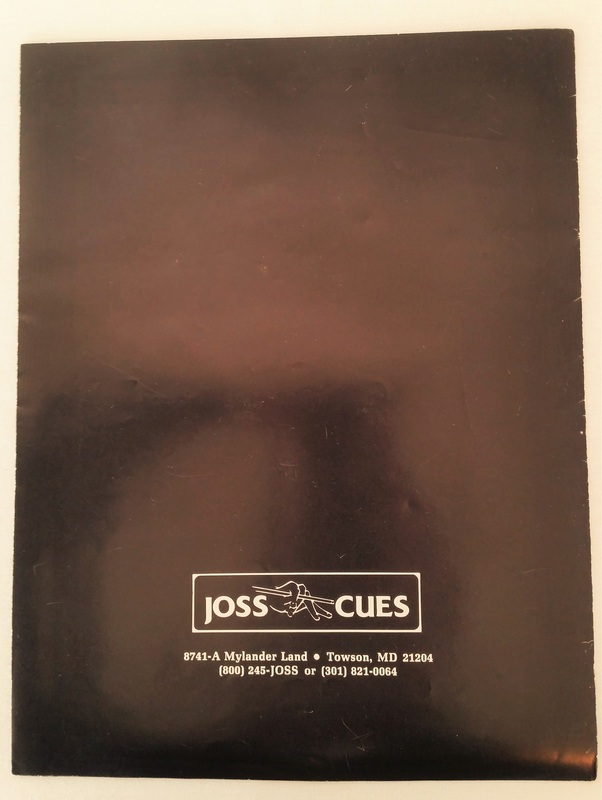 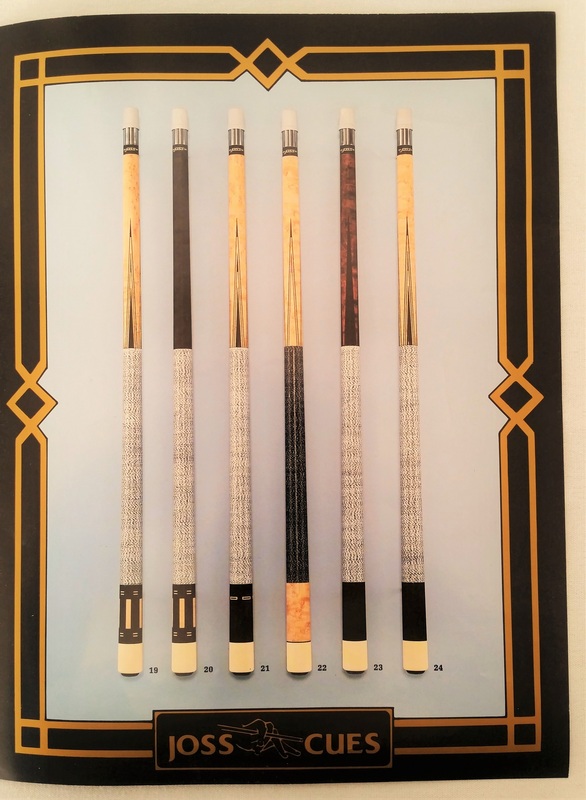 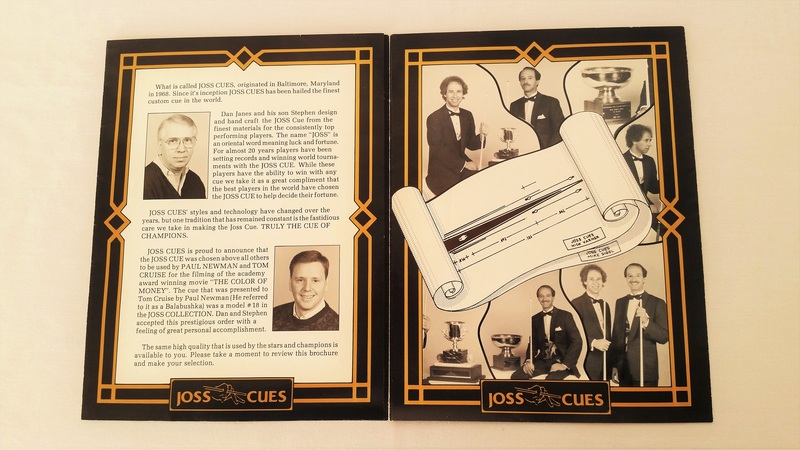 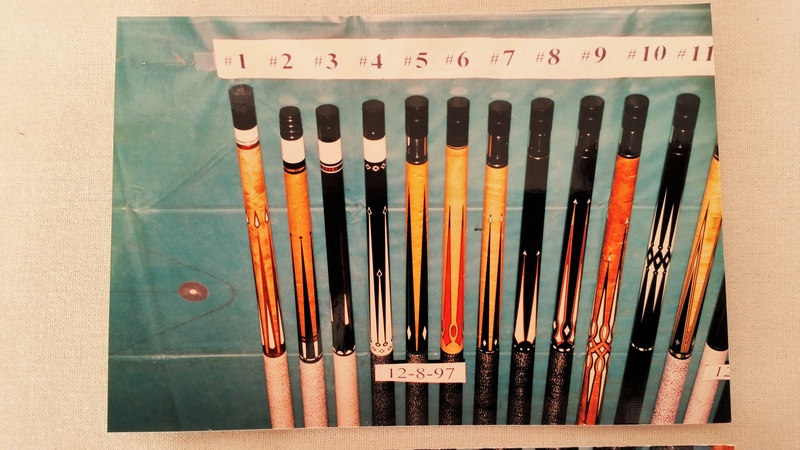 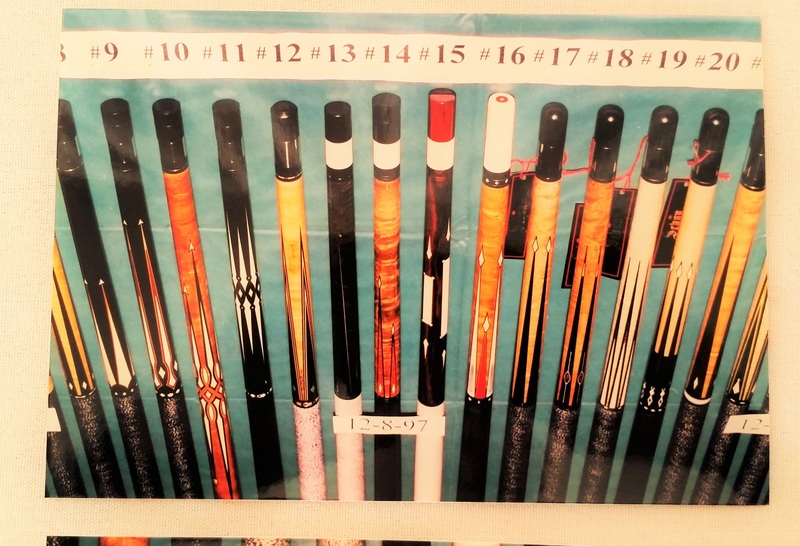 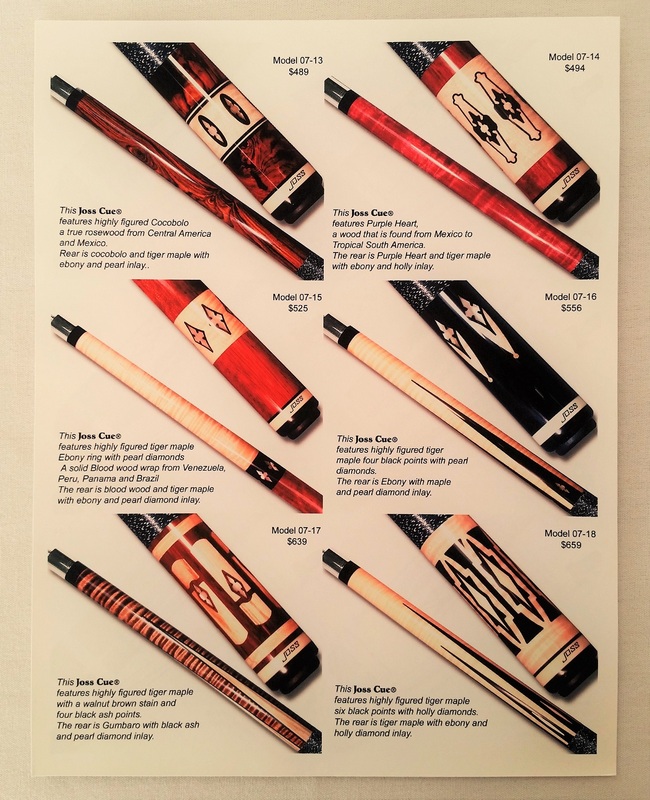 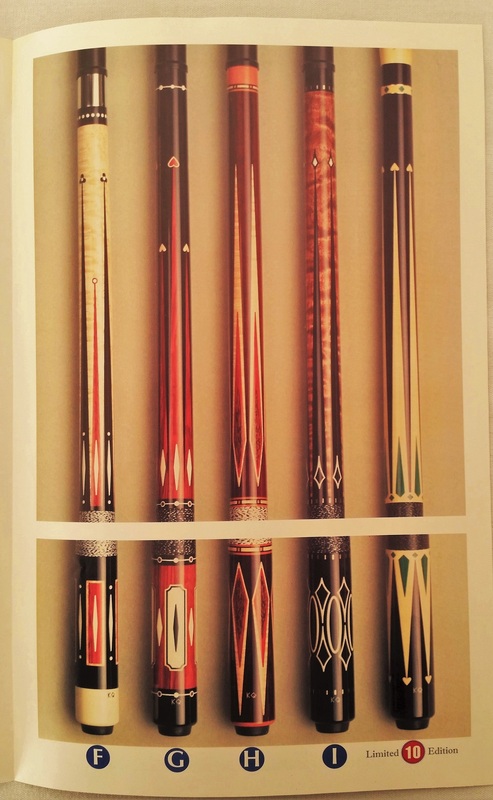 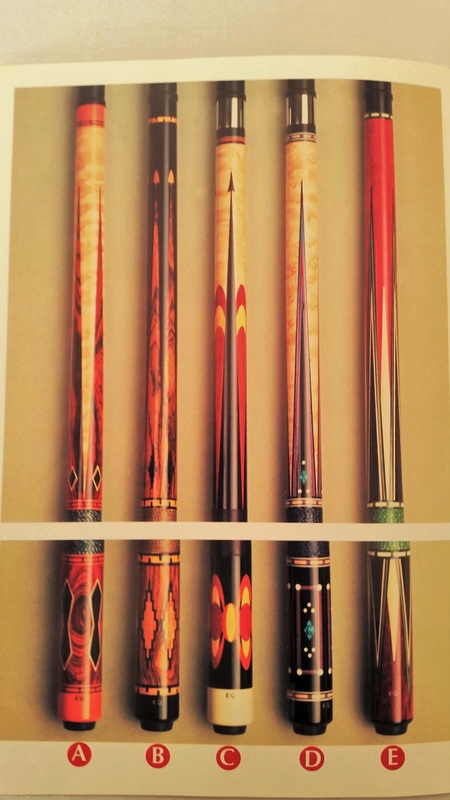 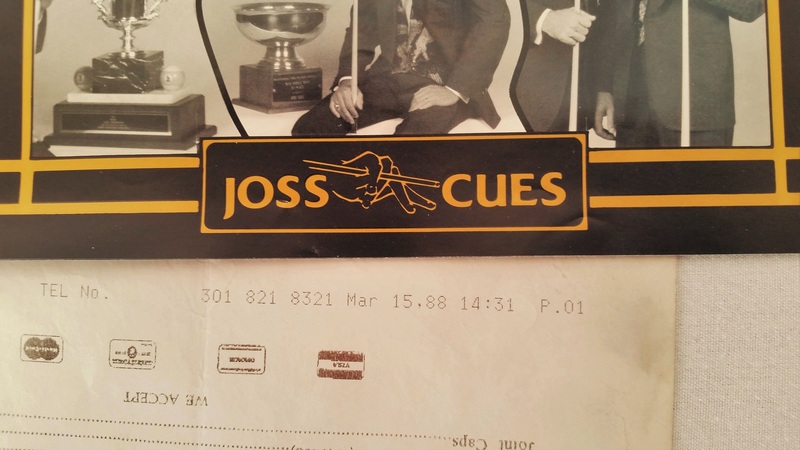 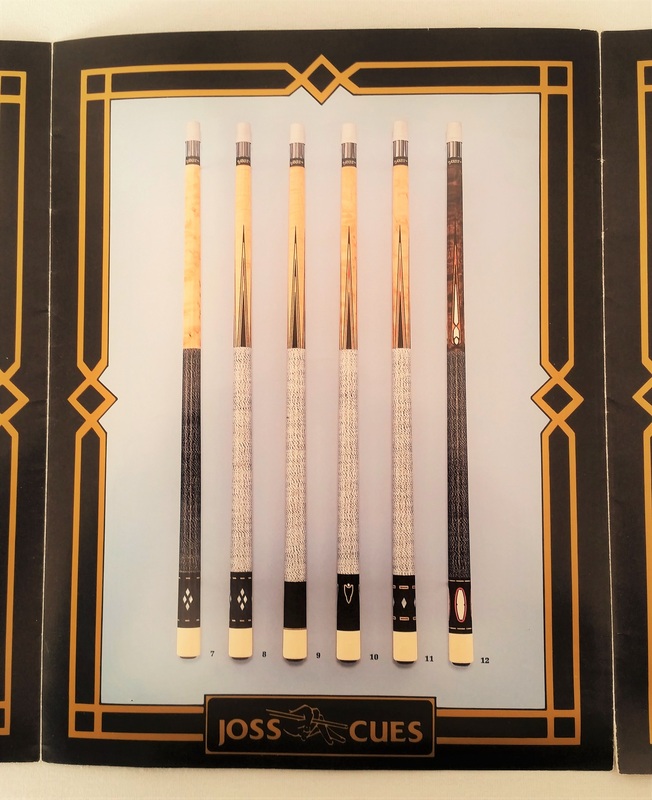 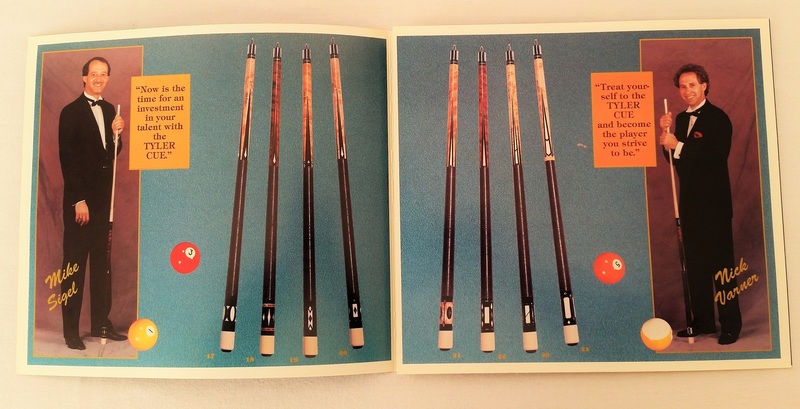 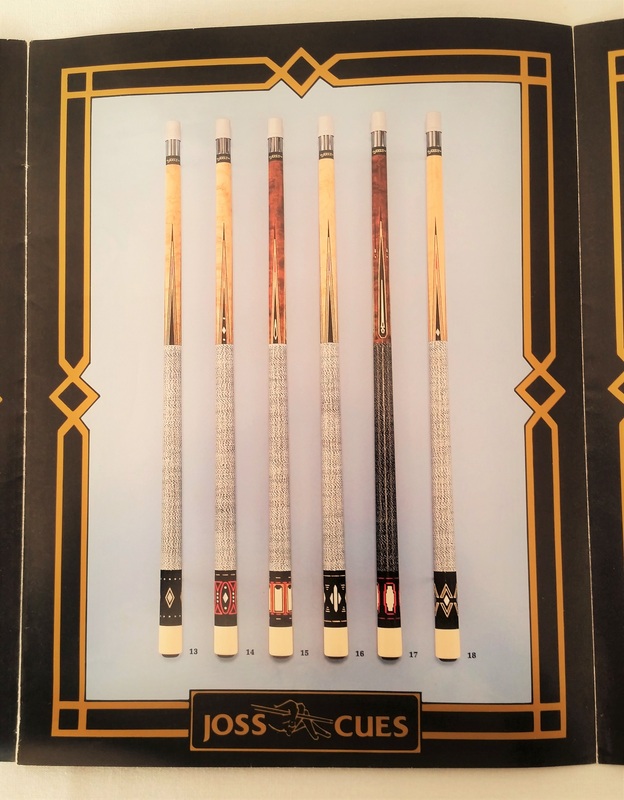 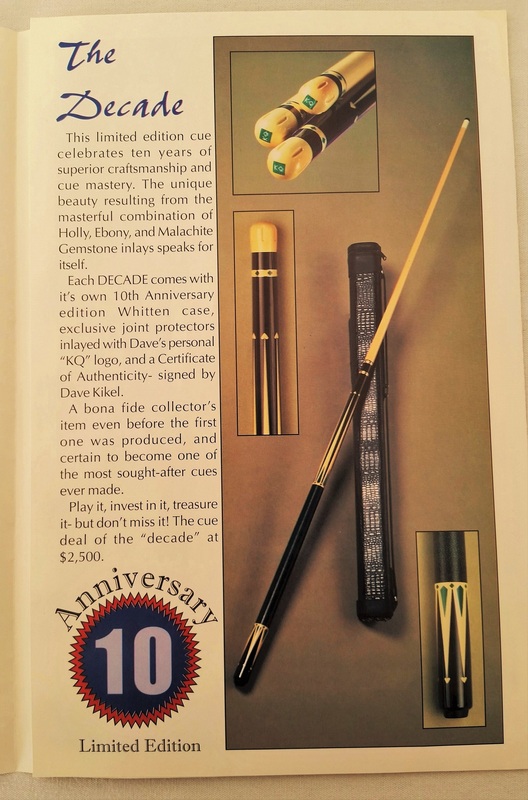 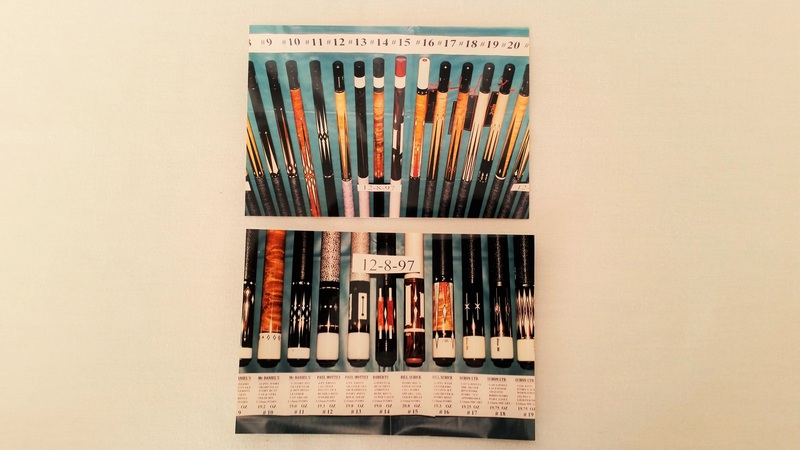 Not very many people would just fork over large amounts of money for a cue stick, so the flyers had to be informative and visually pleasing. 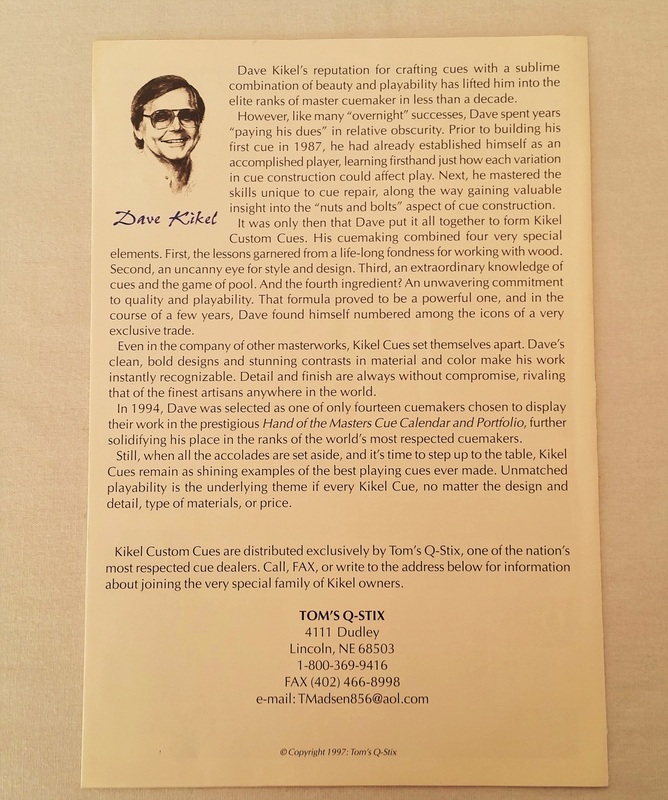 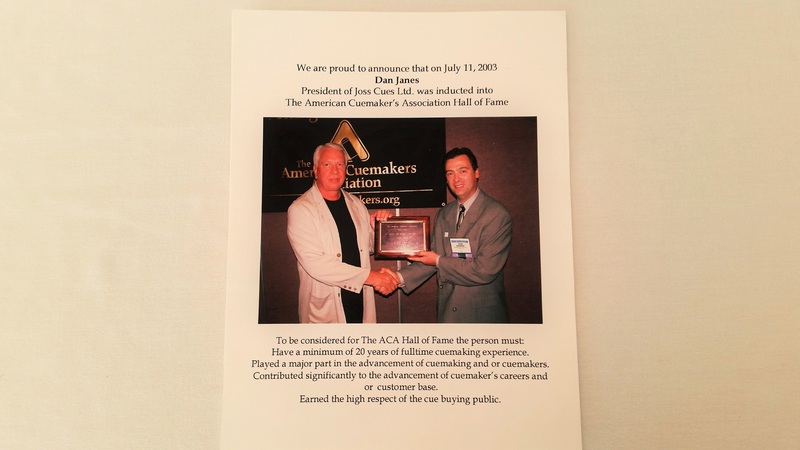 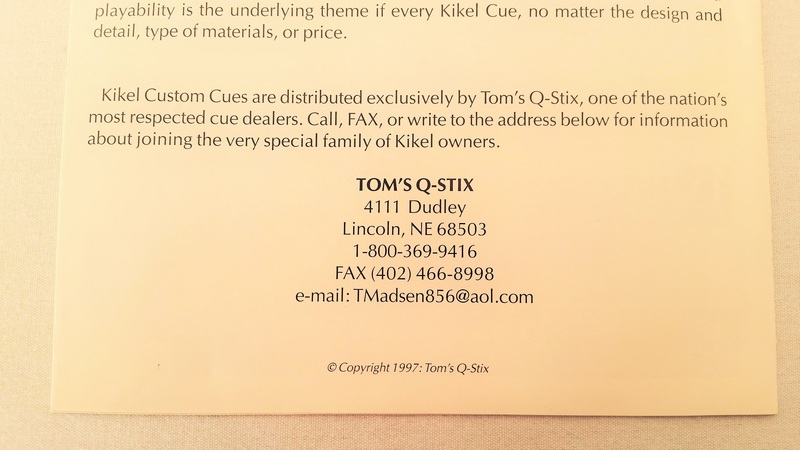 Below is a Slide Show of some of those mailers that were sent out. 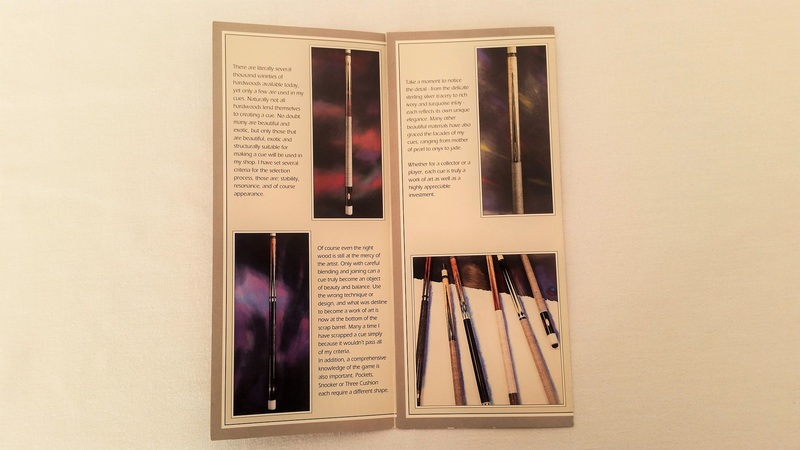 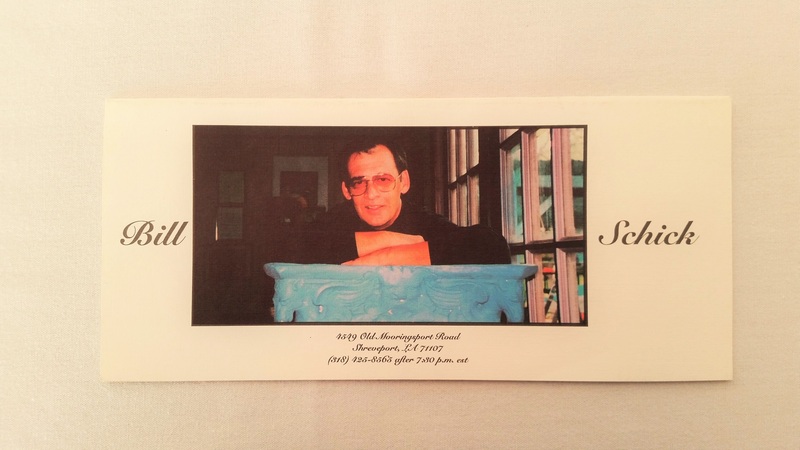 You will probably never get a flyer sent to you if you contact a custom cue maker today, because most of them can just email you pictures along with pricing. 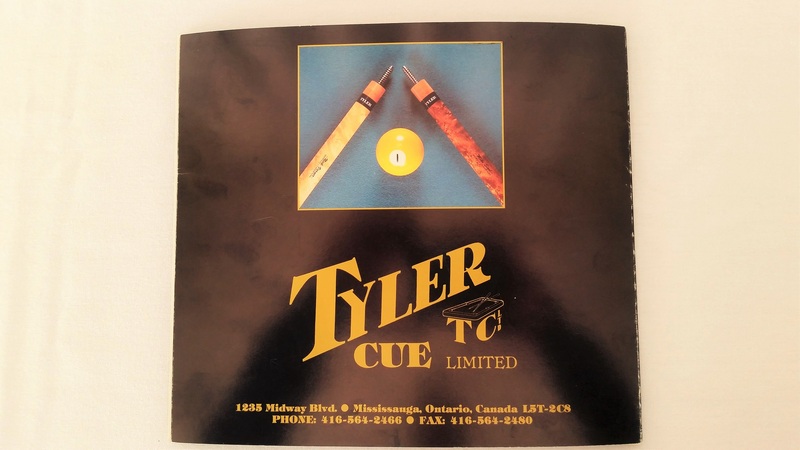 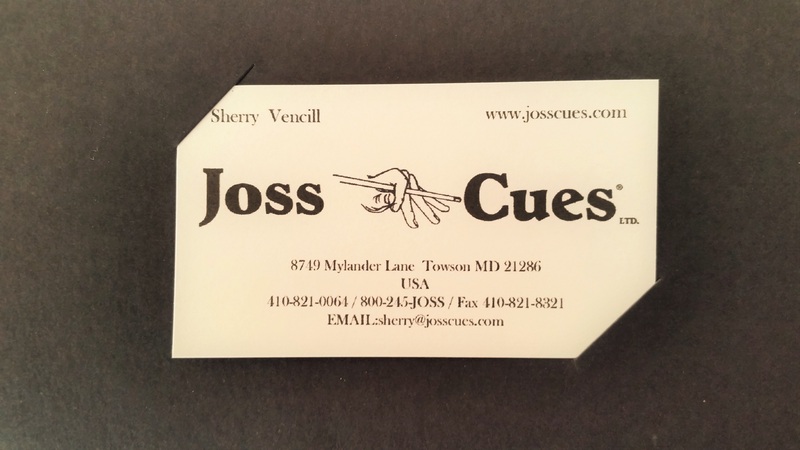 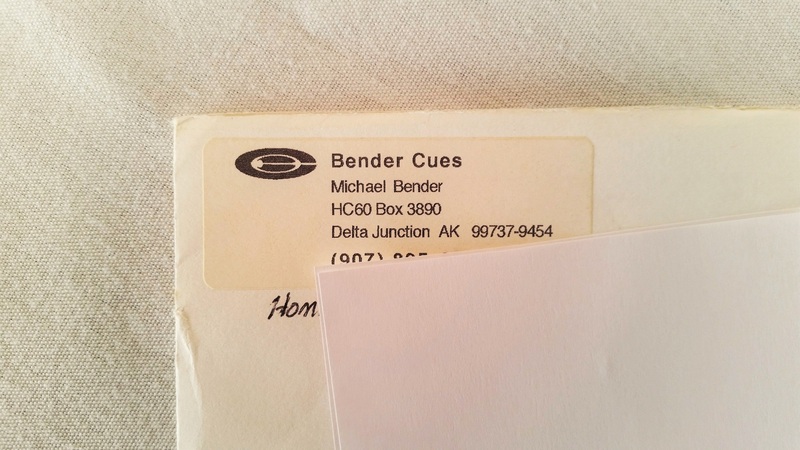 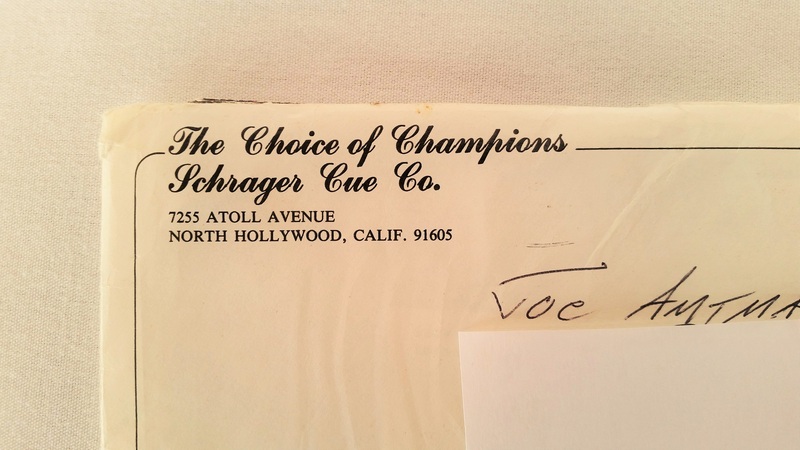 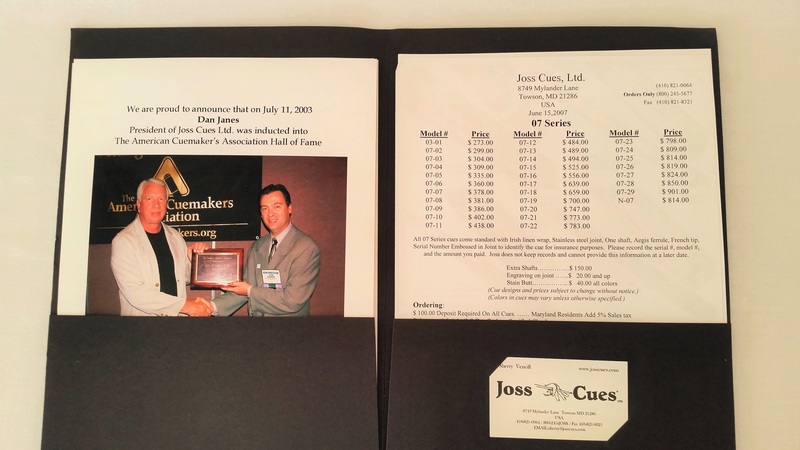 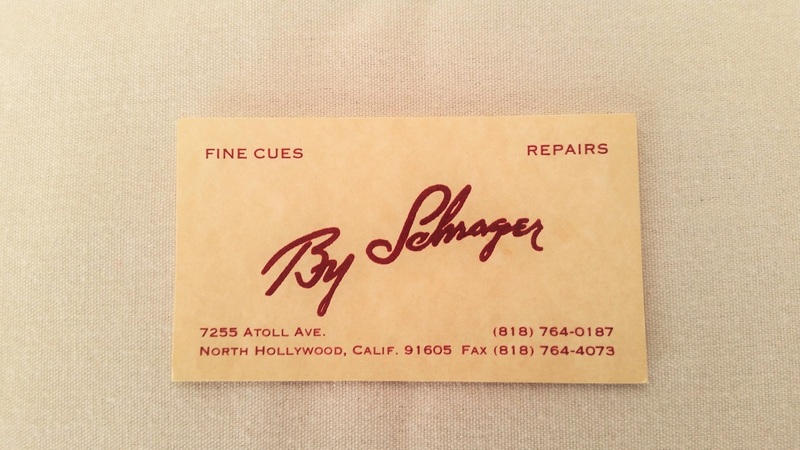 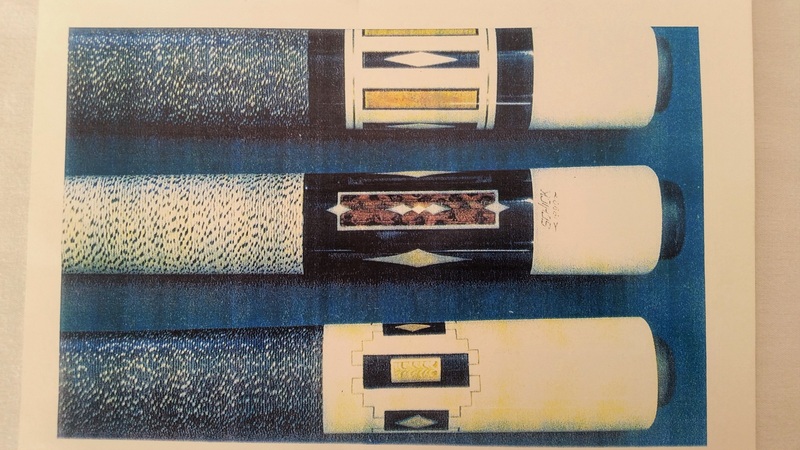 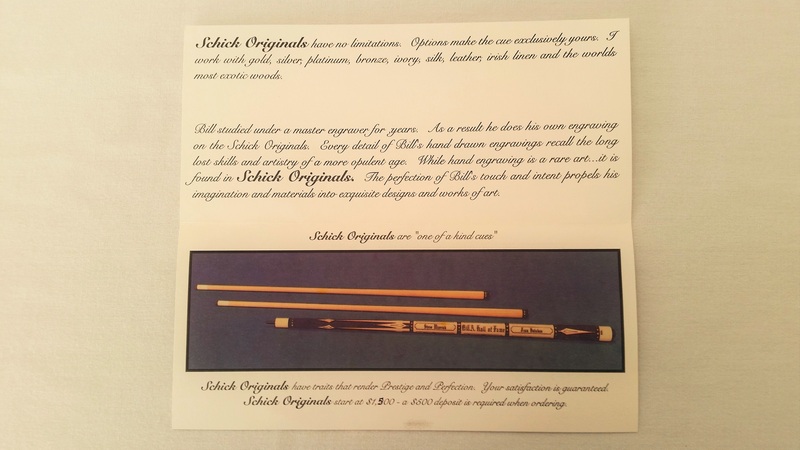 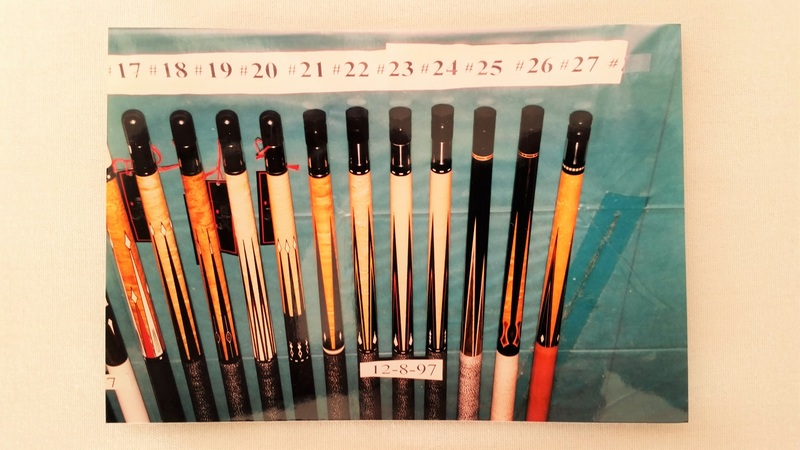 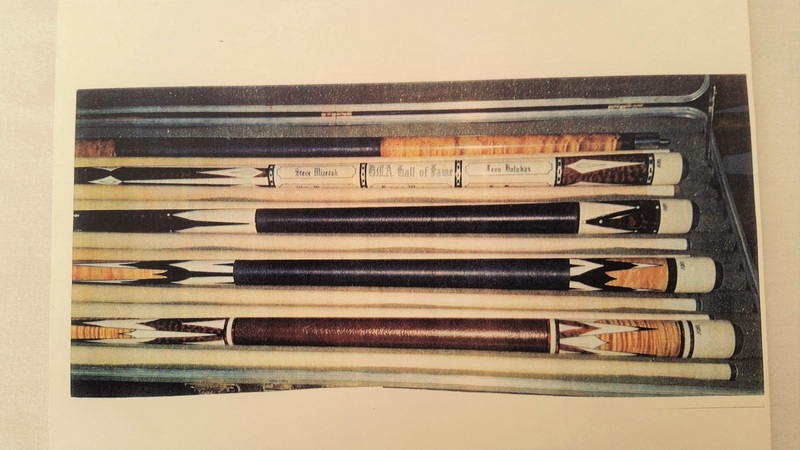 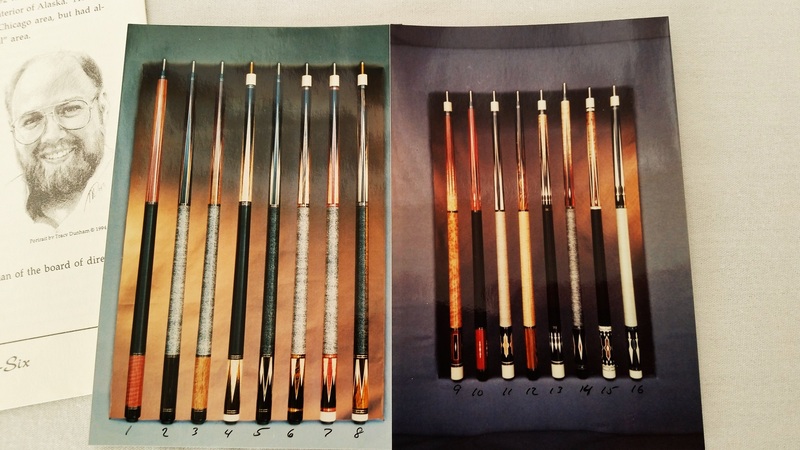 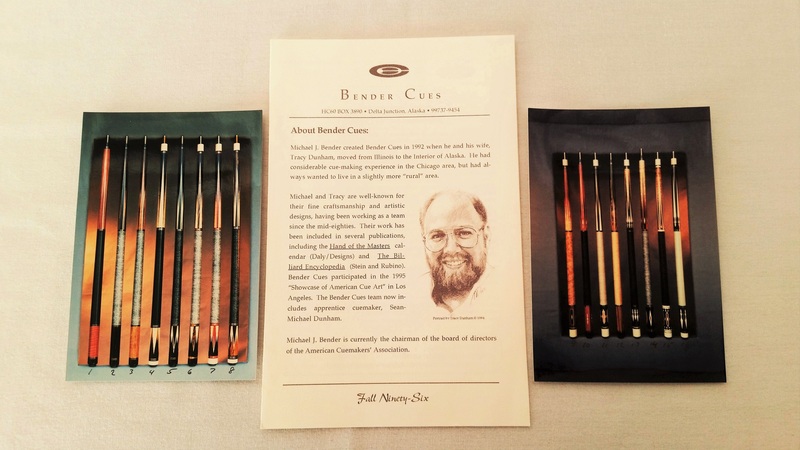 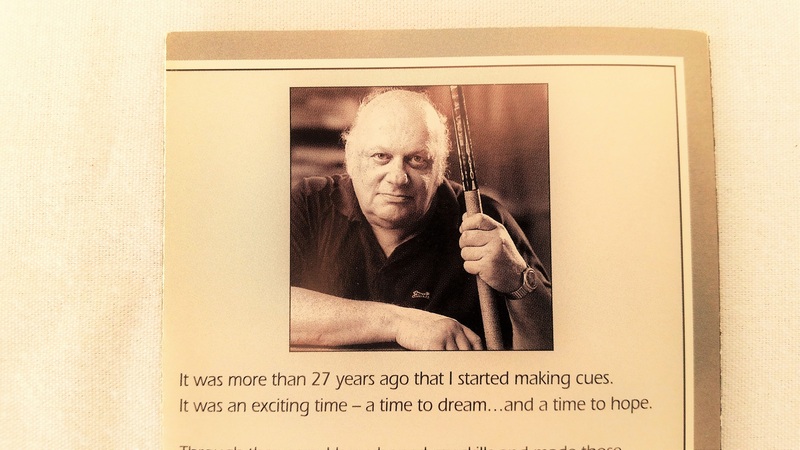 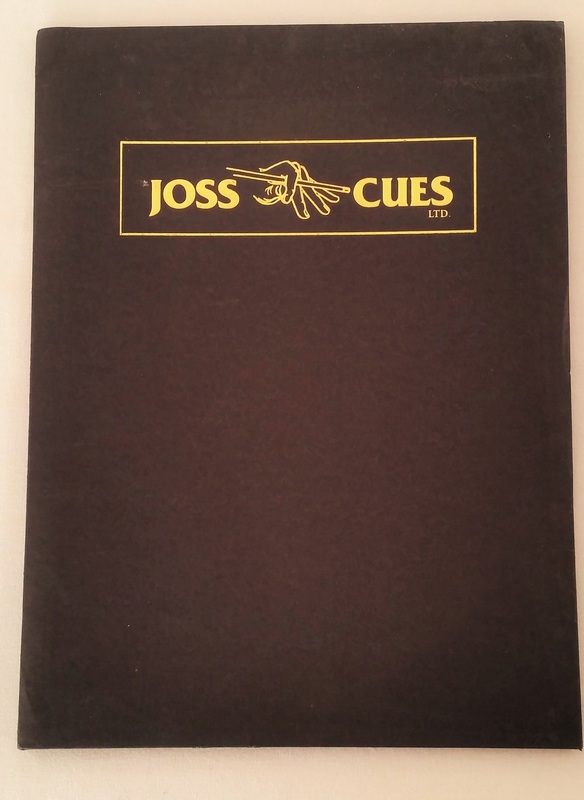 But, one thing hasn’t changed, most every custom cue builder making cues today, can be contacted directly. 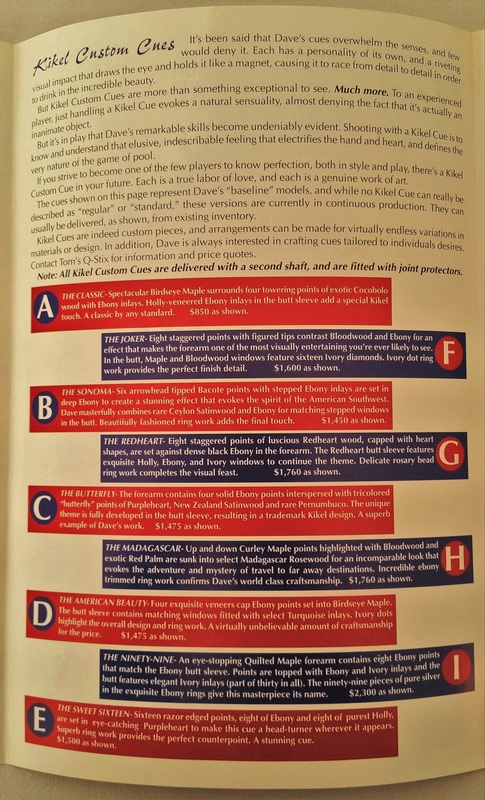 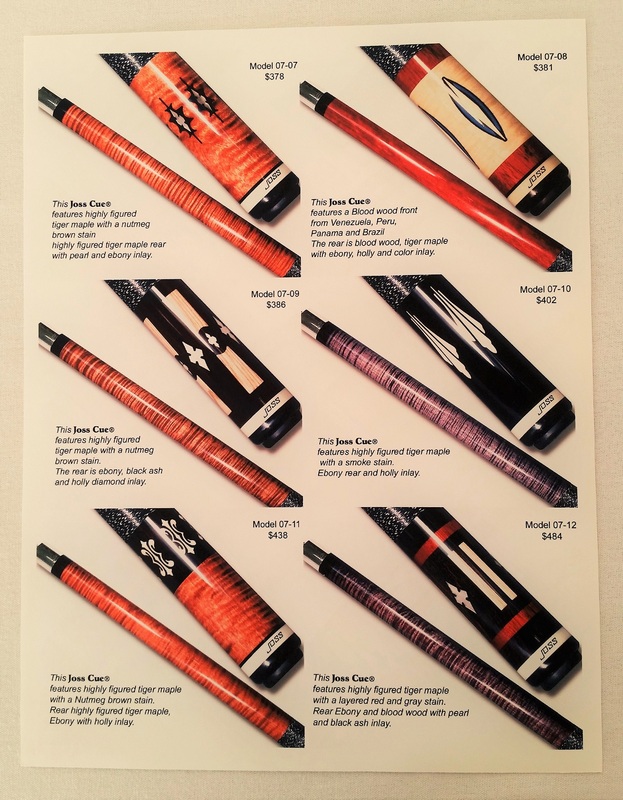 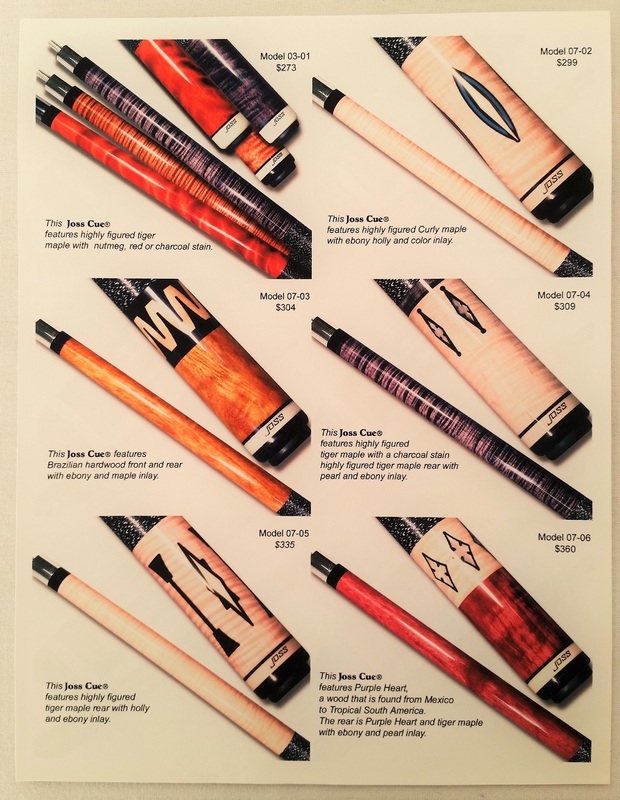 They will take the time to talk to their customers and help educate them so that they make the right choices when ordering a custom cue. 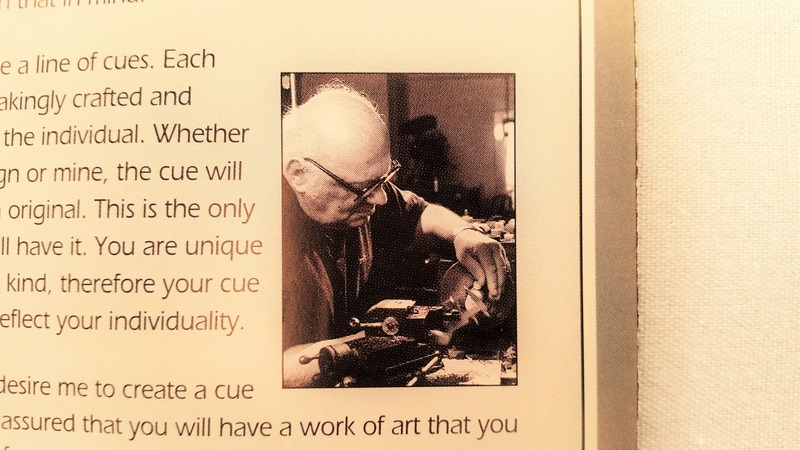 or fast forward the show at anytime.